9. (1 soldier - officer) Near hill, just over the line into Lexington. 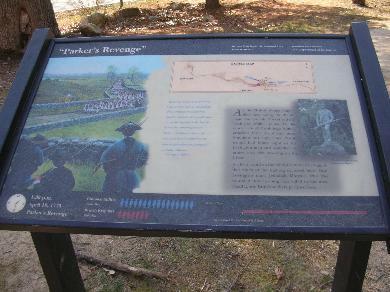 This is a sign with text (not like the other markers) for �Parker�s Revenge�. 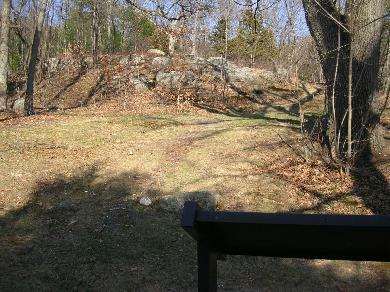 It is located where the walking trail crosses over Marrett (or Airport) road. This is east of the Visitor�s Center.